Mummies have always been a subject of fascination and were amongst the first items to be brought back from Egypt by the travellers of the nineteenth century. In the UK and Europe many of these mummies entered the collections of museums or academic institutions and were studied, as they have been ever since. In North America, they seem to have had a different reception and instead of entering museums, where their history and purpose could be explained, many mummies ended up in the windows of clothing shops or sweet shops as an unusual way to attract more business by encouraging customers into the shop, where they were even allowed to touch them. As a consequence, Egyptian mummies presided over charity events or were housed in libraries. They demonstrated the exotic in ‘dime’ museums, were used as pseudo-science in phrenology circles, and were the centre of attention at public lectures and private ‘unrollings’. Mummies were even sought by a U.S. President (Grover Cleveland) and by the father of a presidential assassin (Junius Brutus Booth). This is an intriguing and entertaining study of a commodity used as display, currency and medicine, especially the information about the way Egyptian mummies were even faked, by using the bodies of dead tramps. The authors do a remarkable job of cataloguing and describing the importation of the coffins and their contents from the arrival of the first one in 1823. Exactly how many mummies were involved in this trade may never be known, but is likely to be considerable. Their history on arrival is difficult to trace, since poor records were kept as they were bought and sold and moved around. Mummy wrappings were even used to make paper, with rags being imported in vast quantities from Egypt. Many of these are said to have been stripped from ancient bodies. In some cases the ‘rags’ came complete with their contents, and when the mummies could not be sold on, they were either destroyed or buried. 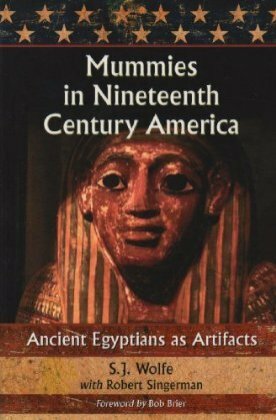 Over time, ancient Egyptian mummies came to be regarded differently and are now being studied and cared for, but it is clear that numerous mummies have not survived, though they can be identified from the period advertisements, illustrations, and quotes from contemporary magazines and newspapers included in this book. The chapter headings are wonderful and include “An exceedingly dry company” and “No stiff has ever gone over this road without a death certificate”. It is in the latter chapter that one can read about the mummy of a young boy, which arrived in the United States around 1886, ending up in Vermont, New England. The climate was not suitable for the mummy and it was eventually relegated to an attic. By 1945 it was determined that the mummy was in such a poor state of repair it should be discarded. The owner, a member of an Episcopal Church, decided the mummy should have a decent Christian burial. The mummy and its coffin were cremated and the ashes buried in the local cemetery. A modern gravestone, decorated with a Christian cross, an ankh and a ba bird, bears the inscription, based on the texts on the coffin, “Ashes of Amun-Hir-Kopshef-Ef, aged 2 years, son of Senwosret 3rd, King of Egypt and his wife Hathor-Hotpe, 1883 BC”. This little, plain and simple slate gravestone is surrounded by larger Egyptian-revival monuments of obelisks and pyramids. This book is full of such anecdotes and should be an absolute must for anyone interested in how mummies have been treated and regarded in the modern world (or at least in one specific part of it). ISBN 978 0 7864 3941 6. Since collecting objects from ancient Egypt became fashionable and profitable there have been those who have sought to deceive, producing forgeries for sale to collectors and museums. Whilst this book looks at fakes made mainly in the last century, the author also includes information on fakes made earlier – perhaps surprisingly, as this was a time when the real thing was more readily available. Clearly demand for impressive objects exceeded the supply. It is especially interesting to read of the increase in forgeries in the first half of the last century, inspired by discoveries at Amarna and of course the huge interest in ancient Egypt after the discovery of Tutankhamun’s Tomb. Forgeries found their way into many respected museums at a time when few scientific tests could be made on some of the objects. It is, therefore, only in relatively recent years that many of the fakes have been exposed. Some of the fakes appear to be based on genuine pieces, but were made at a time when illustrations of objects were not as readily available as today and when collectors might not have been aware of the appearance of the originals. This book makes a fascinating read, recounting as it does the story of how and when the fakes were uncovered, the politics and potential lawsuits that often featured heavily in this, and the ways and means, where known, of their creation. Hindsight is of course a wonderful thing and whilst some of the fakes are of the highest quality and very good, many are clearly not in this category and one wonders how their original owners were persuaded that they were genuine. To show how difficult this can be and how opinions by experts can be wrong, the story is brought right up to date with an account of the ‘Amarna Princess’ purchased by Bolton Museum before it was discovered to be modern forgery (with which readers of AE will be familiar). 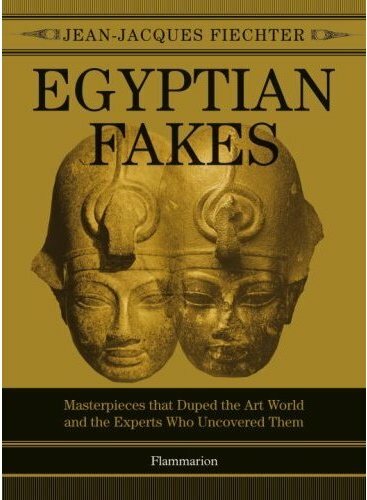 It is interesting to compare photos of known fakes with original pieces, though sadly the images are reproduced in sepia and are not as clear as one might wish for in a book on Egyptian art; some objects are mentioned but not illustrated. The book is a lively and entertaining read: in a time when it is still possible to purchase ancient Egyptian objects on the art market, an essential read for collectors and museum curators alike. ISBN 978 2 0803 0111 6. This book is aimed at teachers and students of archaeology and covers key areas and themes based on the latest archaeological work and finds. Chapters are written by leading experts, including Mark Lehner, John Taylor, Wolfram Grajetzki and Penelope Wilson. The aim of the book is to dispel any notions of ancient Egypt as being unchanging, monolithic and uniform and to show that practical research is essential to understand the ancient culture. It challenges students to think afresh about ancient Egypt and be aware of modern interpretations, expectations and attitudes towards ancient and modern Egypt. 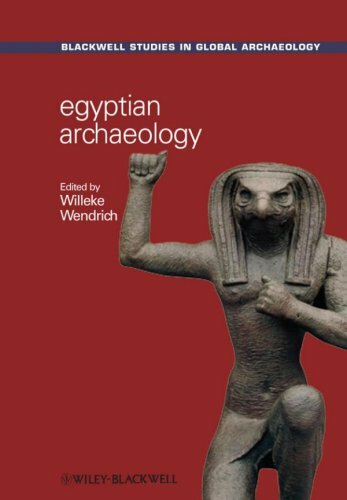 Chapters look at Egyptian Archaeology – From Text to Context; Worship without Writing; Theories of State Formation; Kingship and Legitimisation; Villages and the Old Kingdom; Regionality, Cultural and Cultic Landscapes; Tradition and Innovation: the Middle Kingdom; Foreigners in Egypt: Archaeological Evidence and Cultural Context; Gender in Ancient Egypt; Class and Society: Position and Possessions; Identity and Personhood; Changes in the Afterlife; Consolidation, Innovation and Renaissance; Egypt in the Memory of the World and Eternal Egypt Deconstructed. Each chapter has a list of references and a good bibliography. 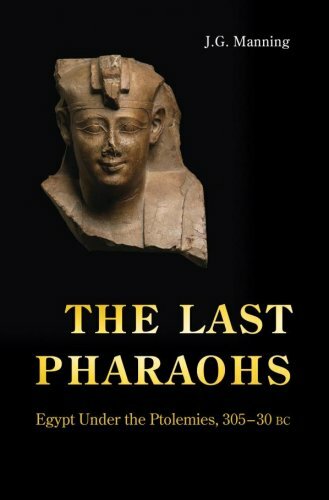 This book should be essential first-port-of-call reading for any Egyptology students and it is well-written and thought-provoking. ISBN 978 1 4051 4987 70. The history of the last pharaohs, at least those ruling a still-independent Egypt, is invariably isolated from the history of other Hellenistic states and also from the history of Egypt itself by being seen as distinct and separate from earlier Pharaonic history. Here the author seeks to put Ptolemaic Egypt firmly in its context of both Hellenistic and Egyptian history, in what is not a biography of the individual Pharaohs, but a well-rounded history of Egypt and its relationship with its neighbours at that time. Based on much new evidence and texts from within Egypt, rather than relying on accounts from outside Egypt, it shows how the Ptolemies ruled through Egyptian Society rather than over it, how they adopted a Pharaonic model for ruling the country and were themselves shaped by this. As a result, Ptolemaic Egypt was neither fully Greek nor fully Egyptian, and whilst it departed from Egyptian history it did not break from it. The author shows how under the Ptolemies, despite their own family squabbles and intrigues, the country prospered, as they reinforced and invigorated an ancient system of rule. The black-and-white illustrations are sparse, and the ones of inscriptions or papyri are not perhaps as clear as they could be and add nothing to the volume. I would have liked to have seen more illustrations covering other aspects of the book’s contents. This is a scholarly work and is recommended for anyone studying the Ptolemaic Period. 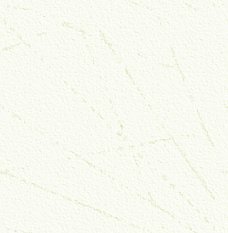 There is an enormous bibliography for those who want to read more about this important period of ancient Egyptian history. ISBN 978 0 691 14262 3. 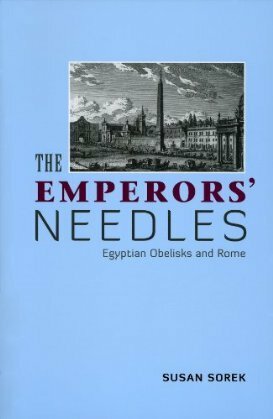 The title of this book is a little misleading, for not only does it cover the thirteen ancient Egyptian obelisks in Rome, but other standing obelisks around the world and, rarely for a book on obelisks, those still standing in Egypt. The story of the moving and re-erection of the obelisks is well known but always worth re-telling. Introductory chapters cover the symbolism of the obelisk and how they were cut; further chapters look at twenty-eight standing obelisks. These include the well known Roman obelisks, in Istanbul, Paris, New York and London. It is especially good to see that the obelisk at Kingston Lacy in Dorset in the UK is included, and I was intrigued to see a recently-discovered obelisk now re-erected in Caesarea in Israel. The standing obelisks in Egypt are also included: at Luxor, Karnak, Heliopolis and the one in Cairo, though the obelisk that can be seen at Cairo Airport is, for some reason, not included. This is a good general guide on the subject, but it is a great shame and a disappointment to me that the illustrations are somewhat sparse. In a book such is this I would expect to see photos of all the obelisks mentioned, especially the one at Caesarea. Published by University of Exeter Press, 2010. ISBN 978 1 904675 30 3. 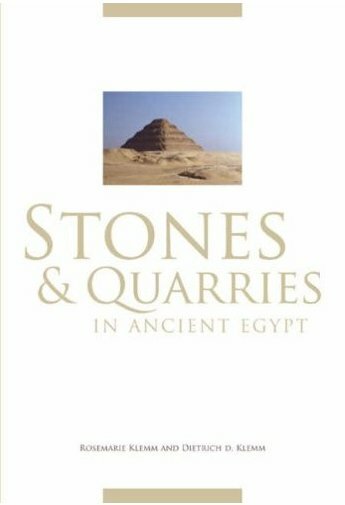 This book, now available in English for the first time, is a comprehensive look at the geology of Egypt and an in-depth study of ancient Egyptian stone quarries. The ancient Egyptians made the most of their natural resources and every type of stone was used, from the very hardest of rocks to the softest. This volume begins with an introduction to the geology of Egypt and continues with a chapter on the identification of rock types, often a problem for Egyptologists. Succeeding chapters look at each type of rock in turn and at all the quarries known, so, for example under ‘Limestone’, after a description of the limestones used in Pharaonic times and how and where they were formed, the ways of determining if a rock is limestone are described, along with many illustrations of microscopic examination of the various limestones found. Then a total of forty-four limestone quarries are identified and described in some detail. Maps of the quarries are included and many black-and-white photos of the quarry workings too. Blocks of stone left in situ at many of the sites and/or only partly cut reveal much about the ancient quarrying techniques and how the stonemasons planned their work. I was especially intrigued by a large block, partly cut out of the rock at Zawiet Sultan in Middle Egypt, where there is an unfinished monumental statue, and only the outline of the standing figure has been inscribed in the prepared rock surface. This work probably dates to the reign of Amenhotep III. Had it been completed, the statue would have been one of the largest monolithic sculptures in Egypt at around twenty metres tall. The same format is then used for sections on Calcite Alabaster; Sandstone; Granite, Granodiorite and Tonalite from south of Aswan; Rocks of the Eastern Desert; Basalt and Dolerite; Gneiss, Gneissic Anorthosite and Gneissic Gabbro, Gneissic Diorite; and Stones of the Western Oases. Unfinished work can be seen at many of the quarries and adds to our knowledge of quarrying techniques and how the blocks were moved on land. Shrines and inscriptions at the sites help to date when quarries were in use. Some quarries were used right through the Pharaonic period and indeed some are still in use today. This book is written with the geologist in mind, but I have found it to be a really fascinating read and not too technical for a non-geologist like myself. The information on how various stones weather is most interesting and this will be of huge interest to those involved in the conservation of stone buildings and objects. It is a great shame that the majority of the illustrations in this book are in black-and-white, which means the colours of the rock at the quarries cannot be appreciated. However, there is a section of colour plates, firstly showing a range of objects from ancient Egypt made from the rocks described in the book and then an important series of colour illustrations of the many rock types, where the rock samples are shown at their actual size. These are good enough to enable types of rock to be easily identified. The ancient Egyptians quarried huge blocks of stone and moved them the length and breadth of the country, often in very difficult conditions. A few of the quarries, such as those at Giza, Gebel el-Silsila and Aswan will be known to visitors to Egypt, but there are quarries literally everywhere and all are fascinating from the geological and archaeological point of view. This book will undoubtedly be a well-used publication for anyone who wants to understand the use of stone in ancient Egypt. In fact, for anyone interested in ancient Egyptian buildings, then this should be an essential read too. The area at Giza covered in this publication was excavated in the early years of the last century by Harvard/Boston MFA, and in particular by George Resiner in 1905-06. Resiner had a reputation for being slow with his publications, so this new volume is long overdue; but this is, as it turns out, all for the best, for this new oversized publication is a superb example of what an archaeological publication should be and how the delay has actually been advantageous. Based firmly on the original excavators’ accounts and illustrations, this is the publication that Reisner himself should have produced … but with the advent of new technology, the author has taken the opportunity to include many colour images of items and reliefs from the tombs, now scattered in museum collections around the world, including some excellent photomontages with the museum pieces from many collections re-connected to the remains still in situ at Giza. 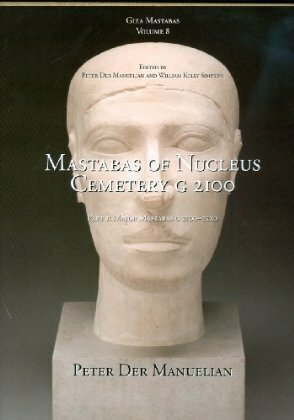 With new computer reconstructions of the appearance of the tombs and many line drawings and plans this state-of-the-art Egyptological publication presents all the available information. 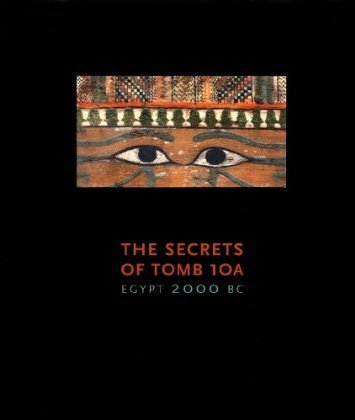 Whilst it is clearly an academic work aimed at specialists, there is much here also to interest and inform the more casual reader, especially anyone interested in the architecture, decoration and contents of Old Kingdom élite tombs. This is a superbly produced book, printed on fine paper and lavishly illustrated and it will undoubtedly give producers of archaeological reports a new standard to strive to equal. Published by the Museum of Fine Arts, Boston, 2009. ISBN 978 0 87846 754 9. In 1915, a tomb was discovered at el- Bersha that yielded the largest assemblage of material from a Middle Kingdom Tomb ever found. Although the tomb had been robbed, the contents included decorated coffins and a huge number of tomb models depicting scenes of daily life (see the article on pages 32-37 in this issue of AE) The majority of the material from the tomb was sent to Boston, and whilst a number of the key pieces were placed on immediate display in the Museum of Fine Arts, most could not be shown, as they had suffered badly from the ravages of tomb robbers and the passage of time. Almost a hundred years later, after a huge amount of conservation work, all the objects from the tomb were placed on display in a special exhibition at the Museum. This splendid publication is the catalogue of that exhibition. The objects are beautifully illustrated and described and the introductory chapters give their historical, funerary and artistic context. This book is ideal reading as a souvenir for those lucky enough to have visited the exhibition, but even better for those who could not. ISBN 978 0 87846 748 8. The majority of the readers of this magazine will have visited Egypt, and have travelled in one of the ubiquitous taxis, in Cairo or Luxor. At the very least, they must have been aware of the constant background refrain to any street-scene in the tourist areas of Egypt: “Taxi?”, “Calèche?”, “Felucca?”. Yet how many of those visitors have paused to reflect on why it is that there are so many taxis vying for business, what it is like to try to scratch a living as a poor working man in a Middle Eastern country surrounded by ‘fabulously wealthy’ tourists and Arab visitors from the Gulf States, and what the ordinary Egyptian really thinks of those European, American and Saudi visitors? This slim volume is neither novel nor text-book on political science, and yet it is both. 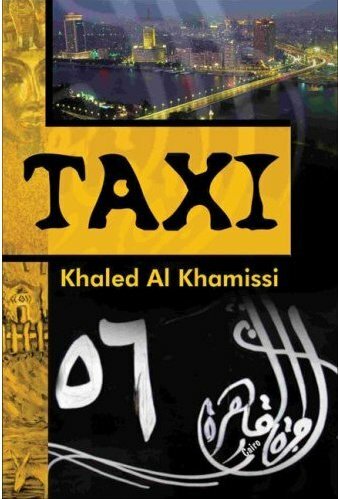 It comprises a set of individual dialogues between the author, a middle-class Egyptian, and the taxi drivers he meets every day as he travels around the streets of Cairo. The conversations convey an unmistakable ring of truth, and make amusing but disturbing reading. Apparently the book quickly became a best-seller in Egypt. It will certainly make the Western reader question some of his comfortable prejudices and give him pause when next he tries to haggle over the price of a taxi journey or a souvenir. One is left with a sense of admiration for the resilience, irrepressible spirit and good humour of these hardworking and downtrodden people and with a clearer picture of the harsh realities of Egyptian society. Perhaps most worrying of all are the glimpses that the author unwittingly gives us of his own opinions about the West. This book should be essential reading for all regular visitors to Egypt. Published by Aflame Books (aflamebooks.com), 2006. ISBN 978 1 906300 02 9.